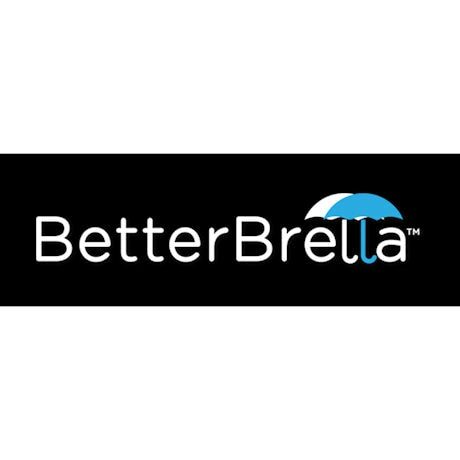 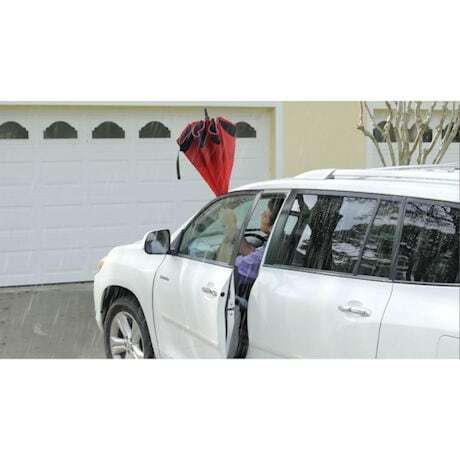 Stay dry from the moment you open your door until you reach your destination with BetterBrella™. 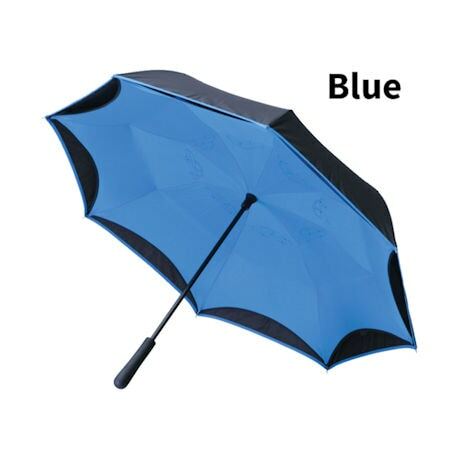 The BetterBrella™ inverts a traditional umbrella design to protect you from rain even as you open and close it. 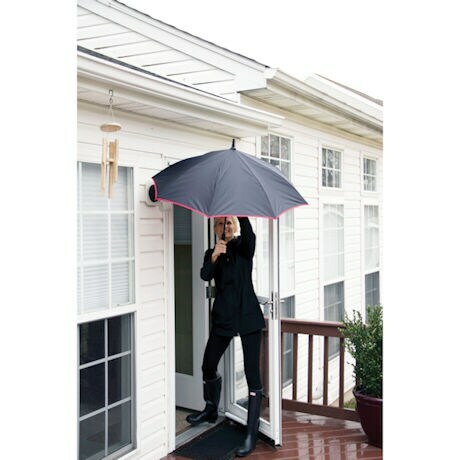 Windproof frame won't turn inside out on blustery days, yet opens effortlessly. 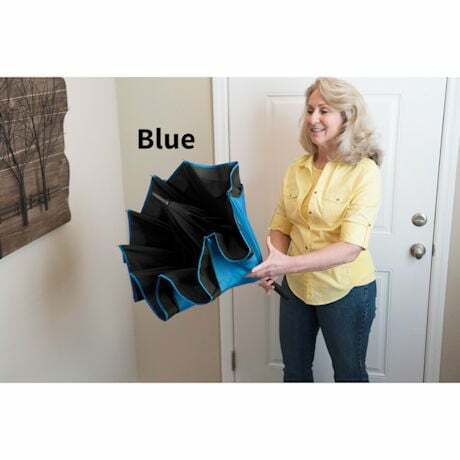 Once indoors, the Better Brella™ forms a waterproof cone protecting your floors from damaging runoff. Colors: red, blue or black.